We have given the Sidepack an improved, more classic look. We have also added some great new features as well. 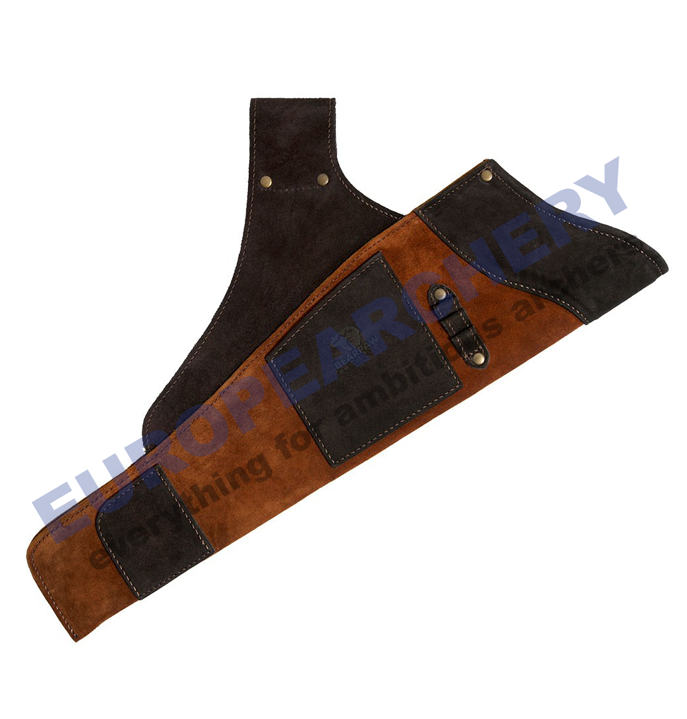 The stylish combination of honey brown and dark brown Bearpaw Suede gives this side quiver a fresh look of simple elegance. 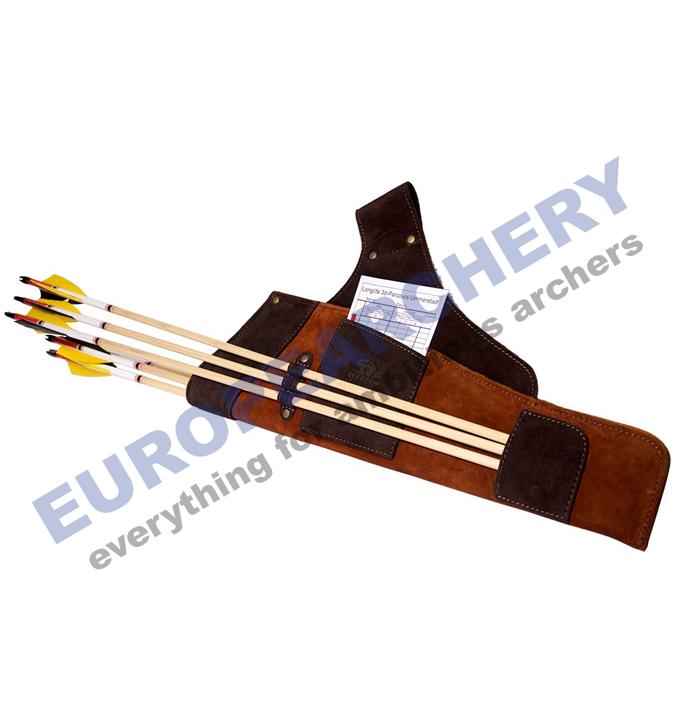 The addition of three external arrow loops and pocket allows you to keep your best three arrows always at the ready and separated from your backup arrows. Some archers prefer to keep all their arrows in the main compartment and find the exterior loops are a good place to keep a pen or pencil for instant marking of their score cards. The handy patch pocket located just below the loops is the perfect place to store your scorecard for easy access at all times. The excellent quality of our Sidepack quiver is evident to any discerning eye. 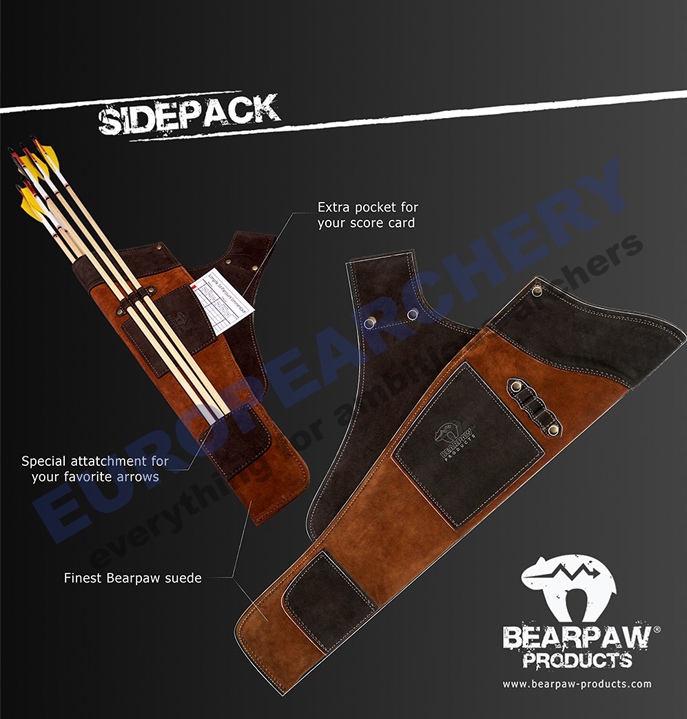 From the high quality Bearpaw Suede to the careful attention to detail down to the last stitch, every element of construction and design - makes this quiver a great choice for any instinctive archer whether they are using wood or carbon arrows.